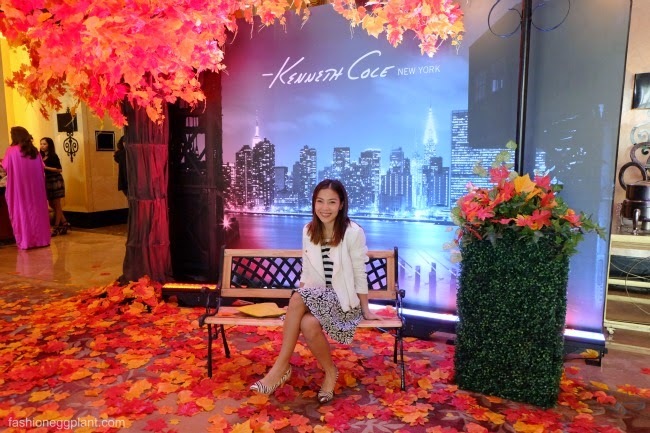 Attended the launch of Kenneth Cole New York's watches for Holiday 2014 at Makati Shangri-la Hotel a few days ago. Also present at the event was David Smordoni, Creative Director and Chief Designer for all Kenneth Cole watches. He flew in to personally launch the new collection (which I bet he is pretty proud of as you will see later on...). Something about David you might find surprising is that he is also a signed singer with an actual album! You can search for his official fanpage on Facebook for more info. The guy is truly talented and one of the most creative people I've ever come across. He is able to sketch and design beautiful watches at a moment's notice. At the event, a few volunteers were lucky enough to have their dream watches sketched on the spot by David. Inspired, we also made an attempt to design our own. Of course none of us could match up to his expertise but there were still some pretty promising ones. The best design won first dibs on the new watches. All the new Kenneth Cole New York watch designs for Holiday 2014 are elegant and beautifully crafted. Since it's holiday, you can't escape bling and a smattering of brilliant Swarovski crystals to add more pizzaz. I'm not usually a fan of heavily encrusted watches but these are an exception. They put just enough to keep things classy and I must say, it works really well with the transparent faces which are also a key design element this season. Check out the new Kenneth Cole New York Holiday 2014 watch collection at all L TimeStudio, Wristpod and Chronos Boutiques.